SMK Investigations is investigating the circumstances surrounding the murder of Kathy Beatty. 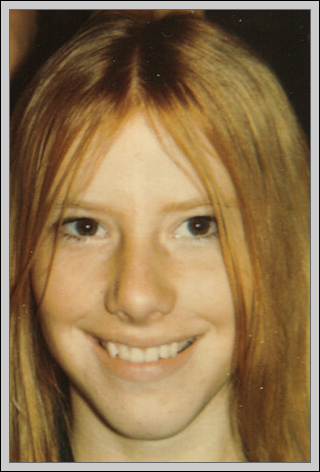 A reward of at least $20,000.00* will be paid for information which leads to the identity of who was with Kathy when she was assaulted on July 24, 1975, in the woods next to the Aspen Hill Kmart and 7-11 in Silver Spring, Maryland. After a courageous fight, Kathy ultimately died as a result of the injuries she sustained that night. Please help the family get closure. If you have any information contact us, even if you think it is insignificant or you think we already have the information. Thank you! * The $20,000.00 reward mentioned above is in addition to any reward offered by the Montgomery County Police. This Website was designed and is maintained by Kathy's family.